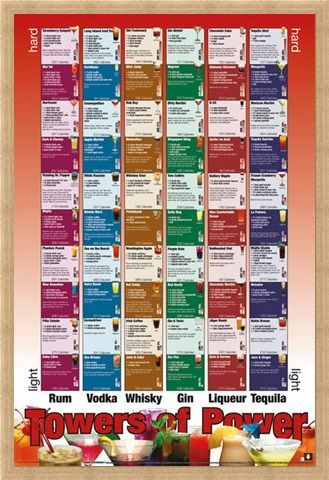 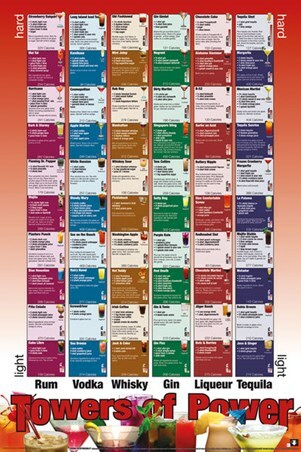 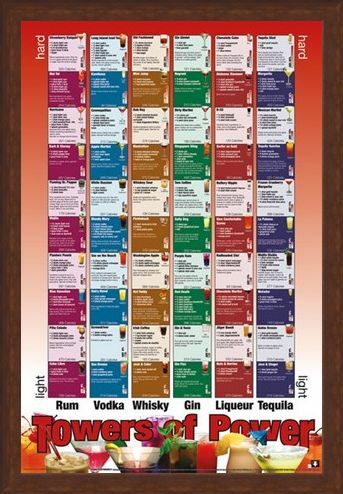 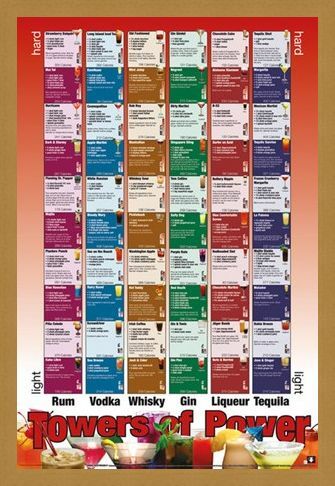 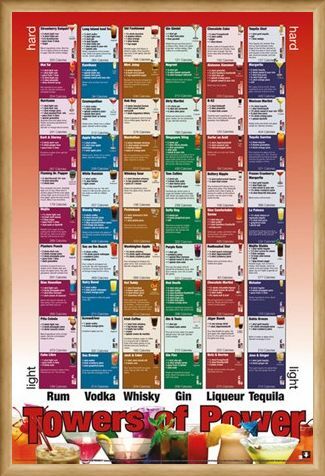 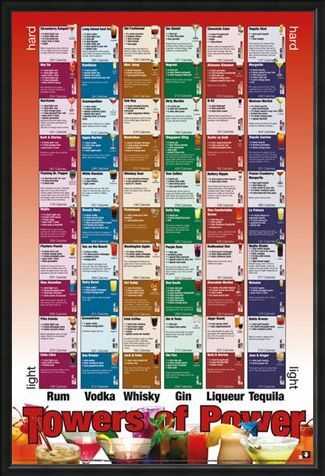 Food and Drink Maxi Poster: The tower of power has been released...ranging from 'light' to 'hard' drinks, this grid is the ultimate companion for all those who are wanting to experiment with different combinations of alcohol. The spirits rum, vodka, whisky, gin, liqueur and tequila are used for the base of each beverage, which increase in strength the further up the table you go. 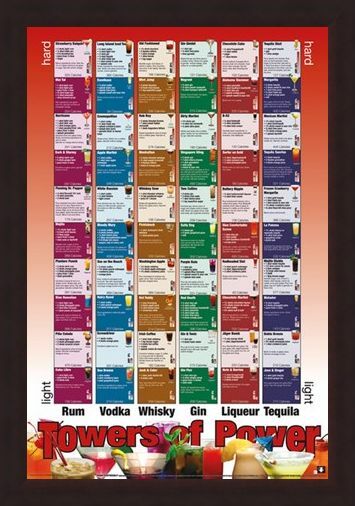 Each box includes ingredients, a method and calorie information so that soon you will know everything there is to cocktail making and claim this tower of power as your own. 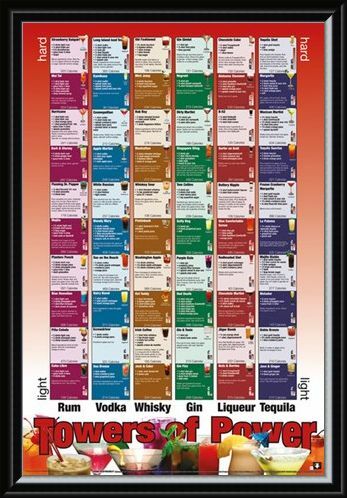 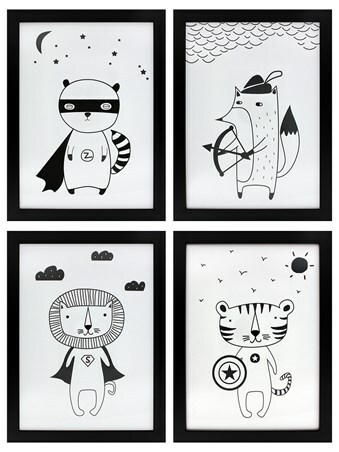 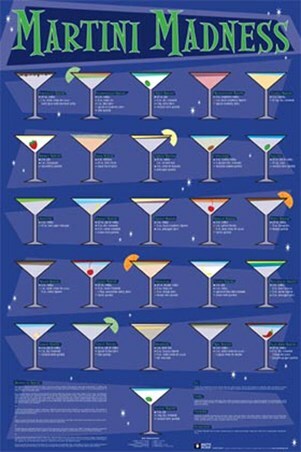 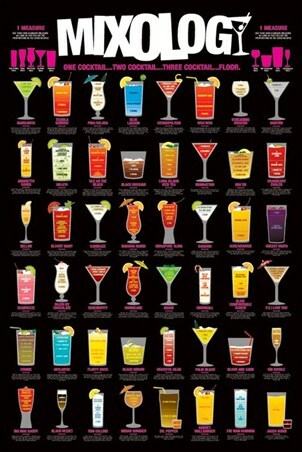 High quality, framed Tower of Power, Alcoholic Combinations poster with a bespoke frame by our custom framing service.